As we come to the end of our holiday season – and start booking new ones! 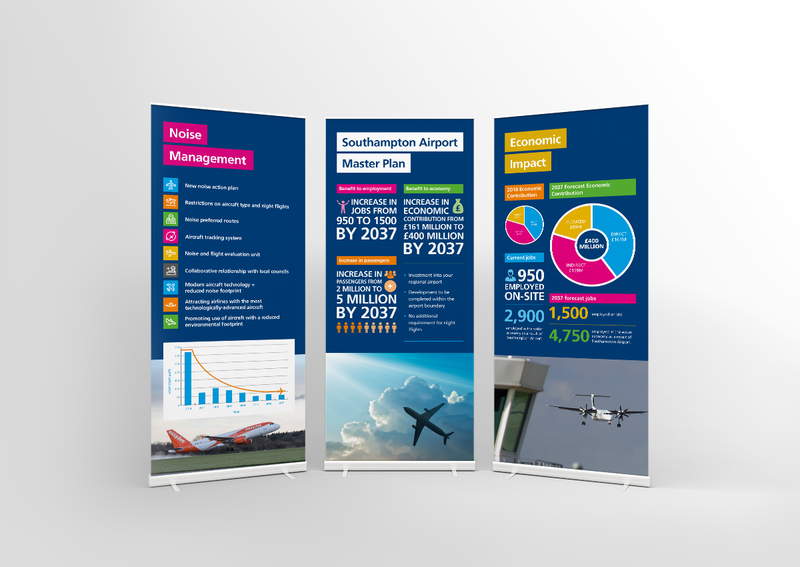 – this week has enriched our love of holidays by seeing the launch of Southampton Airport’s Draft Master Plan 2037. 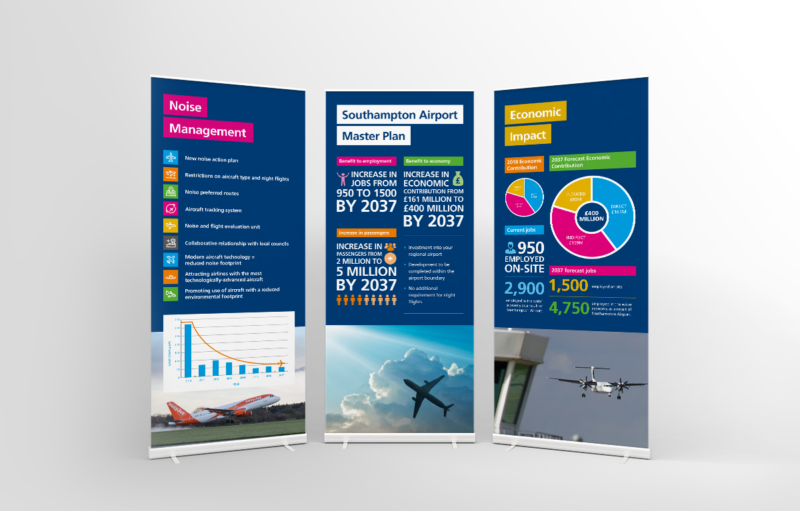 Long term client, Southampton Airport, has been working extra hard putting together its vision for the future, and team Glow has loved working on the creatives. From exhibition pop-ups and infographics to power points and the full branded consultation document we’ve really enjoyed watching the project come alive. 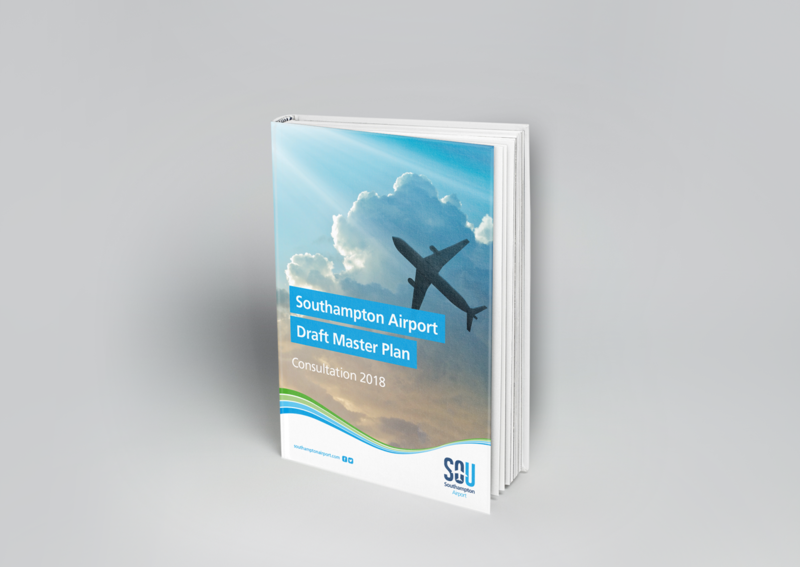 Southampton Airport (on Wednesday 19 September 2018) launched a six-week public consultation seeking feedback on its draft Master Plan which sets out its long-term vision for growth. 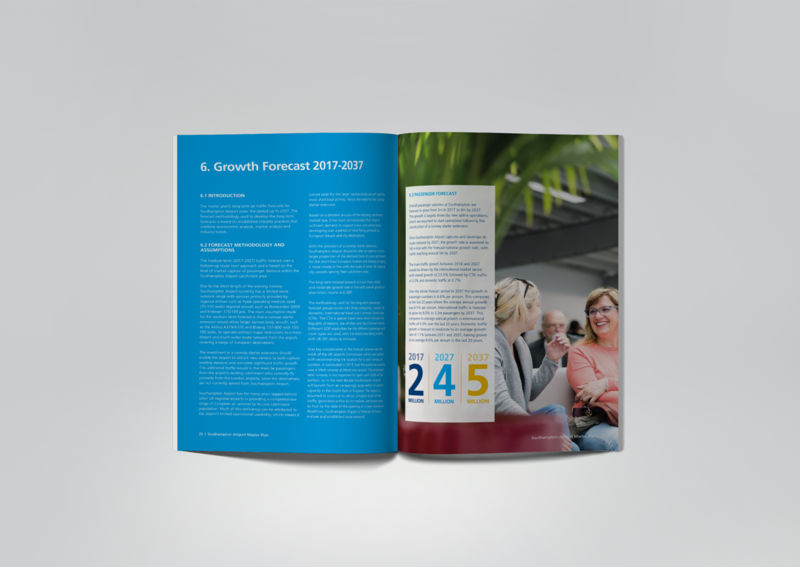 The Master Plan details how the airport plans to grow and continue to support the region over the next 20 years. It includes passenger forecasts and infrastructure requirements to meet the growing demand for air travel to and from the region. It also highlights the development of a runway starter extension as well as the expansion of the existing terminal building. 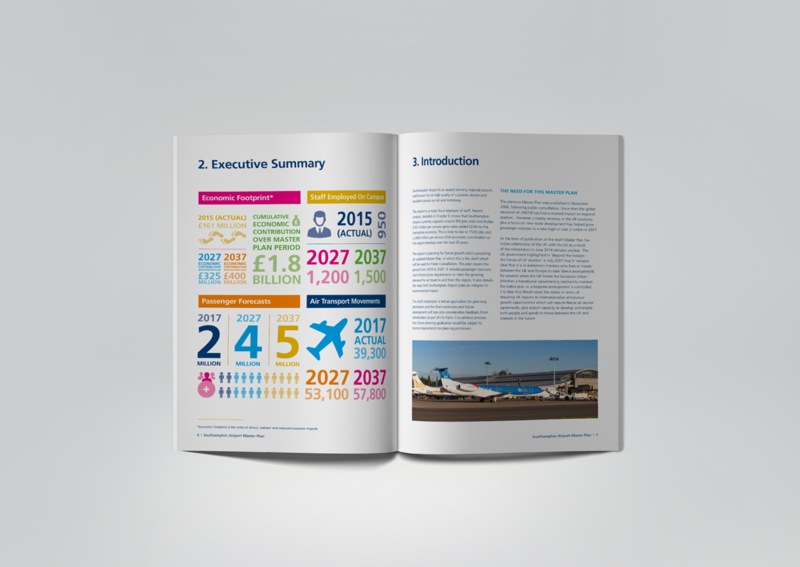 Neil Garwood, Managing Director of Southampton Airport, said: “Southampton Airport is a key component of Hampshire’s transport infrastructure and, as one of the largest employers, it makes a significant contribution to the local economy. Our Master Plan details the investment and development required to not only maintain, but importantly how to improve our region’s future connectivity and economic prosperity. “There are constraints which we must, together with our local communities, overcome if we are to realise our ambition. Southampton Airport has one of the shortest runways in the UK and is unable to provide the same breadth of European air services that other regional airports can offer. We are therefore keen to address this to allow us to provide an enhanced choice of air services to European destinations for our customers and the region as a whole”. To view the Southampton Airport Master Plan and find out further information on how to submit your views please visit www.southamptonairport.com/masterplan. The consultation will close on Tuesday 30 October 2018.